Gary has significant experience in fund structures, both the setting up and operations of authorised and unauthorised funds, which included a secondment to the internal tax team for one of the UK’s biggest fund managers as a manager of their fund tax accounting and compliance function. 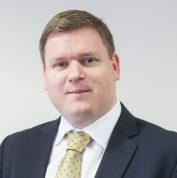 He has also been involved in cross border planning, both inbound and outbound investment by clients, with particular experience in relation to the US. Gary is our contact for all Global Tax matters.